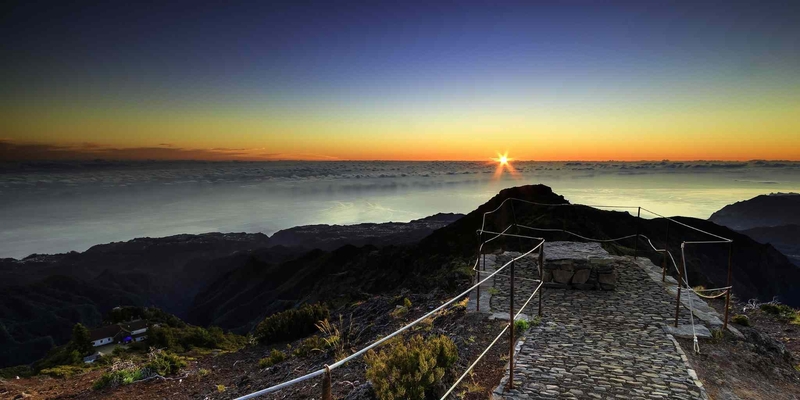 Book the best excursions, tours and activities in Madeira online on sunbonoo and enjoy unforgettable holidays. To make your holiday an unforgettable experience and to avoid unpleasant surprises, we recommend you to pre-book tours and activities that you want to do during your stay in Madeira. Avoid the disappointment of sold-out shows, tours or activities and, on top of that, save money because sunbonoo offers you the best prices. Manage your holiday budget without the temptation to spend more than you planned and be surprised by our friendly and fast customer service. Start planning and dreaming of your Madeira holiday already months in advance. sunbonoo has more than 100 tours and activities on offer for booking from the comfort of your sofa. From A like Aquarium in Madeira to Z for Zoo in Madeira. One of the nicest coastline in Spain is waiting to be explored by you. Book the best Madeira holidays for you and your friends now. sunbonoo tickets are also ideal as a gift for special occasions. Book your trips in Madeira online in advance and save yourself the hassle of fully booked activities and stressful searching on the spot. Experience Madeira, the Portuguese flower island, with one of our excursions and get to know the beautiful island. The small Atlantic island has much to offer and the variety of excursions, tours and leisure activities in Madeira has something for everyone! The year-round mild climate and the beautiful landscape make Madeira a popular holiday destination for tourists from all over Europe. Whether a beach, culture, family or sports holiday on Madeira everybody is welcome and will spend an unforgettable holiday. Funchal, the cultural and economic center, is the capital of Madeira and is worth a visit. Explore Funchal with a classic city tour or join a trendy Segway tour. Especially children will be enthusiastic and will have fun even during a cultural activity. The famous botanical garden of the city is very enchanting and has given Madeira the nickname island of flowers. Also, the Cathedral Sé and the beautiful harbor area will leave you astonished and are worth a sightseeing trip. Would you like to see Madeira from above? 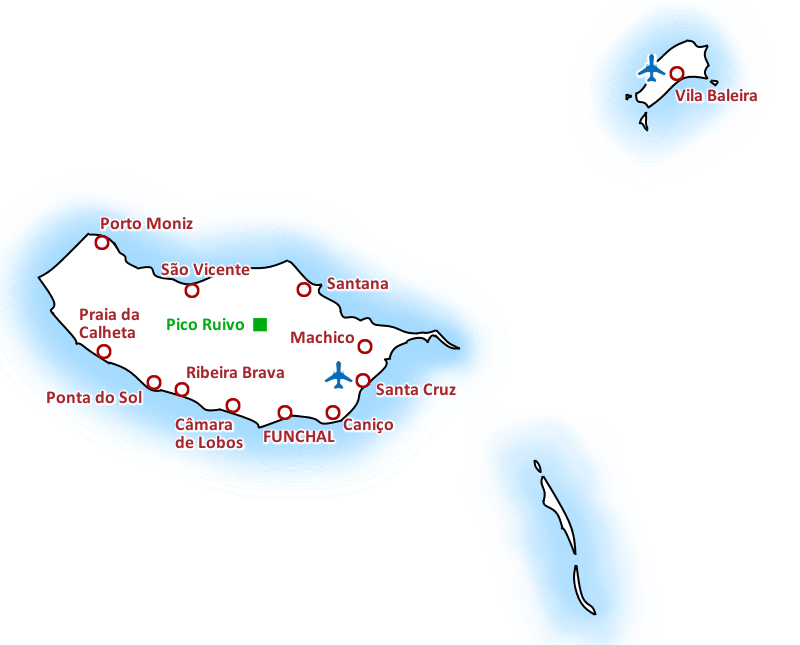 Then take the cable car from Funchal to the rustic mountain village of Monte and enjoy wonderful views during the trip. Let your soul dangle and enjoy the view of the wide sea. Even more spectacular is the balloon ride over Madeira. Get into the air and make your holiday an experience! The fascinating landscape let you breathless! 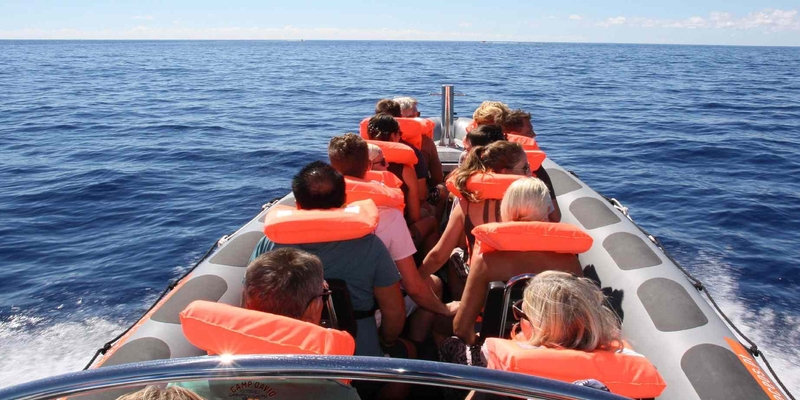 Very popular are the boat trips in Madeira. There is a lot of choice so you can find exactly what you are looking for. Whether it's a nice glass-bottom boat trip with the kids, a relaxed catamaran trip along the coast or a luxurious sailing trip, you'll find just the right one for every occasion and budget. Enjoy the fresh sea with one of the many water sports. Try out a jet ski ride and forget the everyday life with the perfect mixture of fun and adrenaline. Or do a little less wild water sport and discover beautiful coves with a relaxed kayak trip. Sporty people will enjoy Madeira to the fullest with the variety of sporty activities in Madeira! Hiking tours, diving, cycling here you can find everything. The beautiful landscape makes Madeira ideal for hiking trips around the island and to discover its flora and fauna. The professional guides will show you the most beautiful corners of the island and will make your holiday special. 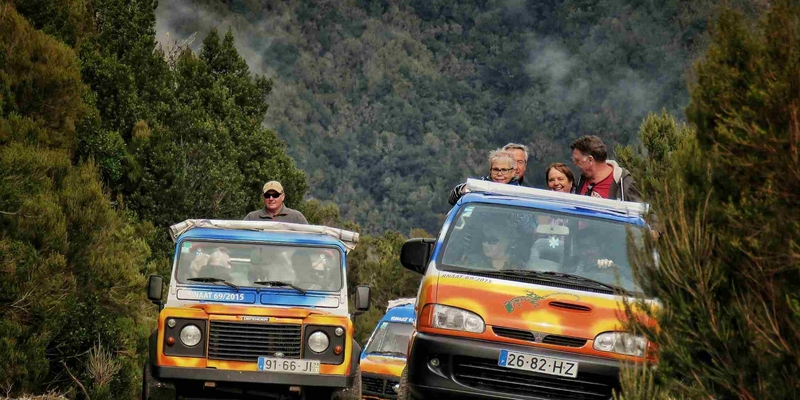 Madeira is colorful and diverse and to explore even the last corner of the hinterland, we recommend you joining a jeep safari and go on a discovery tour. Especially action-lovers will get their money's worth and will not forget this off-road jeep safari in Madeira. Also, night owls are delighted by Madeira and love the Portuguese hospitality. Let your evening end with a dinner show and experience a spectacular show with delicious food with excellent artists - you will be amazed! The Portuguese are very family oriented and even the small guests are gladly seen. To achieve that the children do not complain all the time and that they also enjoy the holidays there are also many child-friendly attractions. Become an astronaut and get the stars from the sky for your kids while visiting the Funchal Planetarium. Another alternative perfect for children is the Aquapark in Santa Cruz, which offers water fun for all ages. And the dolphin and whale watching trips will let their eyes sparkle. 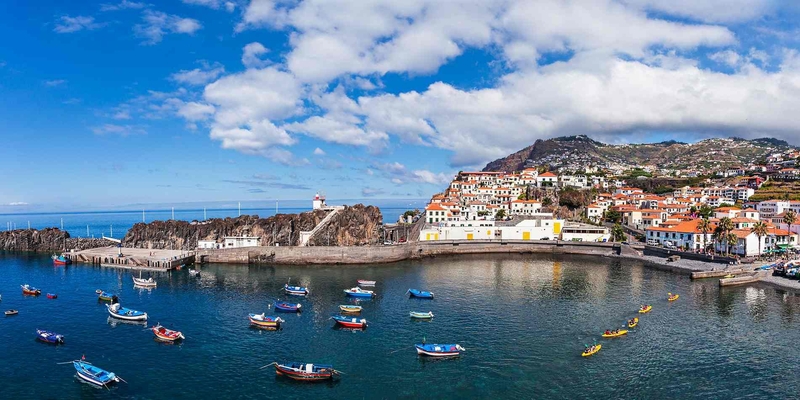 A holiday in Madeira can be very versatile but remember that Madeira is a very popular holiday destination and every day new tourists visit the island. 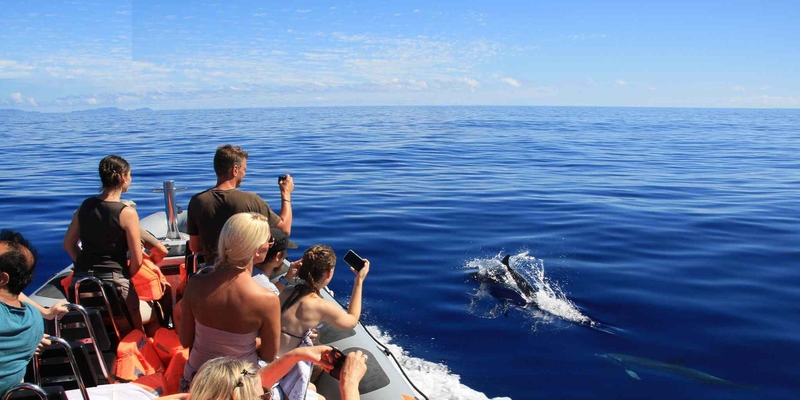 Therefore, it is advisable to plan your holiday in advance and to book excursions and activities in Madeira online in advance, so you can enjoy your holiday quite relaxed and do not have to hope to get the last seats for your desired activity. You have already booked flights and hotel in Madeira, then book here your perfect excursions in Madeira and make your holidays unforgettable. The team of sunbonoo is looking forward to your holiday in Madeira!